Nurture your relationships with the beautiful gifts of green. Easy to maintain, each of these indoor Plants is perfect for year round occasions and celebrations. Pretty much since the beginning, home plants have been symbolic of greenery, prosperity, and have been a carrier of infinite emotions and feelings. 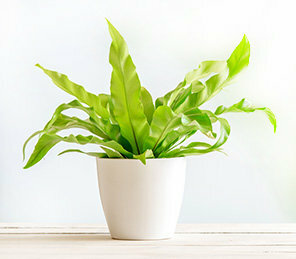 Apart from these, plants have been by our side purifying the air, cleansing the environment around and removing the harmful toxins for our well being. With so many qualities in hand, these have now become the perfect token anyone can bless their dear ones with. With so many occasions round the corner, there's no need to for you to go to nursery as a wide array of best Indoor Plants are available at your fingertips. Wondering how so? Well, FlowerAura, the leading florist and gift portal ensures to send warm wishes with their evergreen array of houseplants that can be sent to more than 200 cities all over India. And apart from availing flower plants and other indoor plants online, the exclusive features also include doorstep delivery options for the easy hand-delivering of the plants and other gift items. No matter what occasion is it, plants have become the choicest gift among all. Whether it is anniversary, birthdays, weddings, these symbolize the care and the love and hence to make moments a memorable one, don't stop yourself from gifting one from FlowerAura. Brimming with infinite house plants varieties such as Bonsai Plants Online, Terrariums, Succulents, Bamboo plants, air-purifying plants, flowering plants, medicinal plants and many more, FlowerAura enables to couple your online indoor plants with amazing ceramic pots. These are available in a colorful array and in designer types such as animal shapes, vases, and many more. So, if it is Pothos you are looking for or for spider plants, Jade Terrarium, peace lily, Peppermint, Tulsi, peperomia, ferns, aralia, FlowerAura is the place for you. Used for beauteous displays, FlowerAura avails indoor office plants, plants for the windowsill, desks, hallways, kitchen table, and for every corner you wish to adorn the decor with. These inherent the quality of purifying the air around, removes the harmful toxins and pest. Most of all the plants enhance the aura of the home, beautify the decor, and helps you to sleep better. However, the best one in each of these is easy to maintain and requires less attention and care as compared to other plants. FlowerAura's online indoor plants can be sent anywhere in India, all the way to the remotest sections of the cities. This is made possible with the instant delivery options that care to deliver the indoor plants online with zero hassle in no time. The lightning speed delivery options enable to reach out to your loved ones on the exact date and time mentioned while making the order and with great packaging with all the contents intact. The online delivery makes it easy on your wallet as there's free shipping throughout the year no matter what occasion is it. In fact, you get to couple your plant with other gifts such as ceramic pots and vases, flowers, handmade chocolates, teddies, personalised gifts, god idols, cushions, keychains, greeting cards, cakes, mugs, jewelry, aprons, spa hampers, gourmet hampers and many more. So, what's with the wait, order online houseplants from FlowerAura right away.